It has been reported that 75% of beach rubbish in Australia is made up of plastic. That equates to some 2,651,613 pieces of debris collected from beachesand recorded in a database during 2016 and 2017. Suffice to say, we need to clean up our act a little bit. Of course, this isn’t just an Australian issue. According to National Geographic every September for last 30 years, the Ocean Conservancy, has collected 300 million pounds of trash and more than 350 types of items. For the first time in 2017,all of the top ten items retrieved were plastics, displacing glass bottles, aluminium cans, and rope that had been stalwarts on the list. There has been a rise of companies combating this trend. 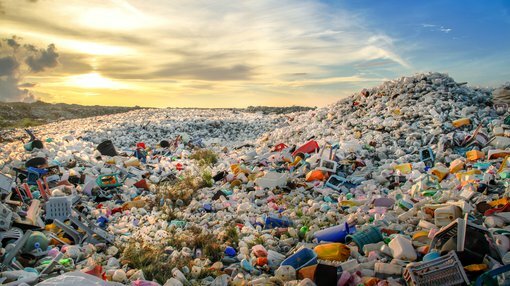 SECOS Group (ASX:SES) is at the forefront in bringing bioplastic compostable films and resins into the mainstream to replace the widespread use of traditional petroleum based plastics. This leading global producer of eco-friendly bioplastic materials from its proprietary bio-based resin technology, is developing a world-first breathable compostable film product line to meet a presently unmet need. This higher margin biodegradable, compostable and hybrid resin can be used to make sustainable hygiene and other packaging materials. Production of this bioplastic resin is being ramped up at SECOS’ newly acquired Malaysian plant as demand for the material rises faster than ever. The new 30,000sq ft. facility is ideally located close to Malaysia’s largest port and will assist in expanding further in the key markets of Malaysia, China and the US, where it already has strong foundations. The plant will provide the company with additional capacity and sales to meet the growing global demand for bioplastics, which is forecast to see exceptional rates of growth over the near term. The growth on offer in this area has seen the company adopt a strategic focus on the high margin compostable resin corner of the market, and is developing a world-first breathable compostable film product line for the hygiene and medical markets. Already that decision is paying off. In late October, SES provided its quarterly report for the quarter ended 30 September 2018. The company’s bioplastic resin sales were the stand-out, up 296% on the year, and is where the company anticipates continued strong growth going forward. SECOS expects to increase its bioplastic resin sales rate sevenfold, from the current annual revenue run-rate of $1 million, to more than $7 million by June 2019, supported by a strong forward order pipeline from existing customers. Further to this, positive feedback from prospective packaging customers in the US, Europe and Asia provides confidence in continued growth in SES’s global bioplastic resin sales. The company is currently undertaking a Rights Issue to raise up to $2.7 million, offering eligible shareholders one fully paid ordinary share for every six shares already held. Additionally, a private placement of 15,179,597 new fully paid ordinary shares to institutional and sophisticated investors, and 4,516,130 new fully paid ordinary shares is to be issued to directors of the company, subject to shareholder approval. The rights issue ends Tuesday 13 November. All up, SES expect to raise up to $4.0 million in total before costs, which will be used to fund working capital requirements to expand its bioplastics operations in Malaysia, its bioplastics sales in the US, as well improving efficiencies in the films business.